The Classic Film Series at the Humboldt County Library presents the films of Elia Kazan in a swaggering set of flicks that feature crude, brooding dudes. Kazan, a Turkish-born Greek immigrant, directed films that depicted important social and political issues. Antithetically, in a decision that cost him his reputation and respect, Kazan "named names" before the House Un-American Activities Committee, much like a character from one of his biggest hits, On the Waterfront, a film many believed Kazan later used to justify his testimony. Regardless of Kazan's controversiality, one thing is certain: The films at the library on Tuesdays at 6:30 p.m. (free) this month are all powerhouses that launched their lead actors into stardom. See why Kazan was known as the "actor's director" as he pulls powerful portrayals from his leading men in these four classic films. "Stelllllaaaaa!" Who bellowed it better? Benes or Brando? 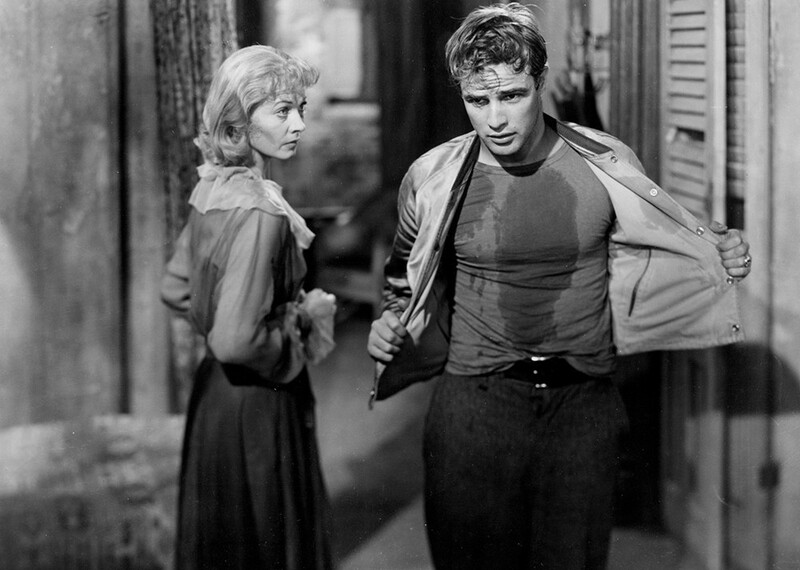 Well, the Academy sure liked Brando, nominating him for Best Actor for his portrayal of brutish, virile Stanley Kowalski in A Streetcar Named Desire (1951). The Journal's Jennifer Fumiko Cahill takes you through all the drama on April 9. Next up, Field Notes columnist Barry Evans hosts On the Waterfront (1954) on April 16. Also starring Brando, this one took it all Oscar night, garnering eight Academy Awards, including Best Director for Kazan and Best Actor for Brando. Andy Griffith is Larry "Lonesome" Rhodes in A Face in the Crowd (1957) showing April 23. Watch Rhodes' unprecedented rise from a mediocre man to a position of great power and influence who gets there through folksy populist appeals and falsities ... oh, dear god, too real. Hosted by Bob Doran. Finally, the film that introduced the world to James Dean, East of Eden (1955) plays April 30. Loosely based on the John Steinbeck novel, the film sees young Dean in a Cain and Abel-esque war with his "favored" brother, vying for dad's (and brother's girlfriend's) attention. With Julie Harris. Hosted by Art Beat columnist Gabrielle Gopinath.